These HB compass leads work in all standard drawing instruments. 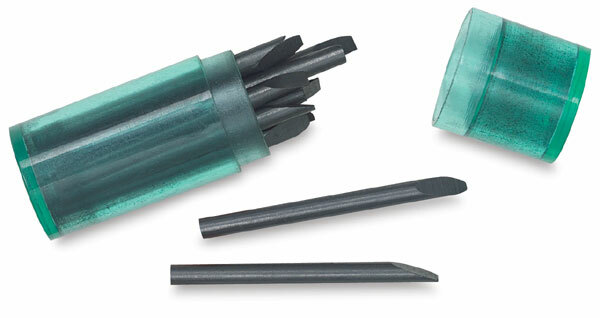 They have pre-sharpened chisel points. The tube holds 12 leads, each of which is 2 mm in diameter × ¾" long.